Decades before Appalachian coal production dropped to its current lows, the coalfields of southern Wales were all but shut down by government decree. Tom Hansell's new book, After Coal (a companion to his 2016 documentary film -- trailer above) should be on the reading lists of any communities that wonder "what do we do now?" 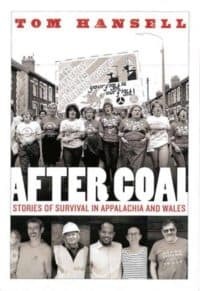 After Coal: Stories of Survival from Appalachia and Wales tells the story of four decades of exchange between two mining communities. The book compares the history of two coalfields on the opposite sides of the Atlantic and profiles individuals and organizations that are building a new future in former mining communities. Anyone who knows the history of how coal fueled the Industrial Revolution knows there has been a war on coal miners and coal communities a lot longer than there has been a supposed “war on coal.”  While coal mining is sometimes characterized as just another cyclical business, there is a good counterargument that it’s a great example of an enterprise that capitalizes the profits and socializes the losses. In other words, the original capitalism for the 1 percenters and the hell with the rest of you. The toll of mine deaths, black lung disease, and environmental destruction wherever coal has been mined is well documented. That’s not to say that there were no benefits, like good wages and – even in some coal camps – a diverse mixture of country origins, races, and cultures that African American author William Turner, a native of the Harlan County, Kentucky, coalfield town of Lynch has described as “like being in New York City.”  Everywhere coal has been, unions have organized and governments have been forced to respond with policies ranging from safety regulations to outright mine nationalization in Britain. For a good portion of Appalachia and Wales, the historic mining capital of Britain, coal production has declined so dramatically that documentary film maker Tom Hansell has produced a timely book, “After Coal: Stories of Survival in Appalachia and Wales.”  (West Virginia University Press). 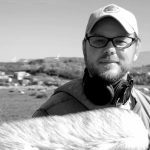 It is a substantial addition to his documentary “After Coal,” and shows in greater detail how communities in both regions are responding to the devastating economic decline. It is a forward-looking book aimed at a continuing conversation between communities divided by an ocean but united by a set of common problems and a determination that the future will not look like the past. Hansell, who honed his media skills at Appalshop, the Whitesburg, Kentucky, media and education center that has been producing mountain documentaries and preserving mountain culture since 1969, focuses his lens and pen on an exchange between miners in Appalachia and Wales that began in the 1970’s. The exchange was led by John Gaventa and Helen Lewis, both academics associated with Highlander Research and Education Center who saw that the two coalfields had much in common and much to learn from and be inspired by each other. Both regions were initially agricultural areas with vast quantities of high-quality bituminous coal. In Wales the industry developed and prospered for nearly two centuries, while in Appalachia the industry boomed and then began a decline in less than a century as mechanization and competition from oil and gas led to mountain top removal mining that was three times more productive in labor terms than deep mining and more destructive of the environment than anything ever allowed in Wales. “THE NARRATIVE OF RENEWAL: Read an excerpt from the book’ by Tom Hansell (above). One of our biggest hindrances here in our area is the division between our people. You have so many people that say if I’m against strip mining or mountaintop removal, then I’m branded a tree hugger. I’m called different names. There’s just a division that’s gonna have to be settled out before we can make progress. Political promises that coal mining will boom again in Appalachia, of course, continue to inflame those divisions even as more people begin to accept the economic reality that the age of coal is mostly over in Appalachia just like in Wales. Hansell does a good job  of detailing how the Welsh, often led by miner’s wives who first organized to support union walkouts, have led the way in creating community organizations that have focused on establishing new businesses to support economic growth. Those projects range from child care facilities all the way to windmill farms. He notes that communities across the mountains are doing the same, despite the handicaps of having to learn how to rise above political differences. The most appealing parts of the book are about the brotherhood and sisterhood of people from two very different parts of the globe who demonstrate that learning from one another is what generates hope and that hope is the foundation on which a better future can be built. That this conversation has been going on for over 50 years is remarkable in itself. That Pat Beaver, the now retired head of Appalachian Studies at Appalachian State in Boone, North Carolina, has archived all this history for others to study is also remarkable. Hansell is now a teacher there himself and engaged across the region and other coalfields around the world with a sensitive lens focused on “what do we do after coal?”   Any rural community that is facing the question of “what do we do now?” can benefit from the lessons Hansell offers. Jim Branscome hails from Carroll County, Virginia, along the Blue Ridge Parkway, and just up the mountain from “the real Mayberry,” Mt. Airy, North Carolina. He is an honors graduate in history from Berea College in Kentucky.